Its been far too long since my last post, however once again I find myself to be too busy in the basement to write a blog post! The above image was taken in the Chetwynd yard and shows both diesel service tracks occupied. 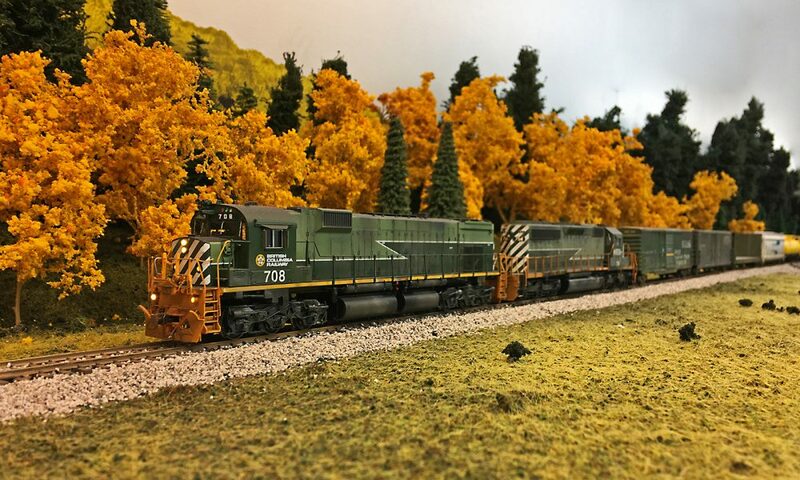 The GMD-1’s are from Rapido Trains (and are amazing models) which I plan on using from time to time on the Dawson Creek Sub, as on my layout I plan to use the CN interchange at Dawson Creek. All the track work in the yard is complete except for 2 turnouts that will need to be installed. I did some “test running” (ok so I was having some fun) in the yard and found I need one more crossover for operations, so I will need to install those turnouts. The upper deck has seen the fascea installed and partially painted, as well as turnout control switches and LED indications installed. 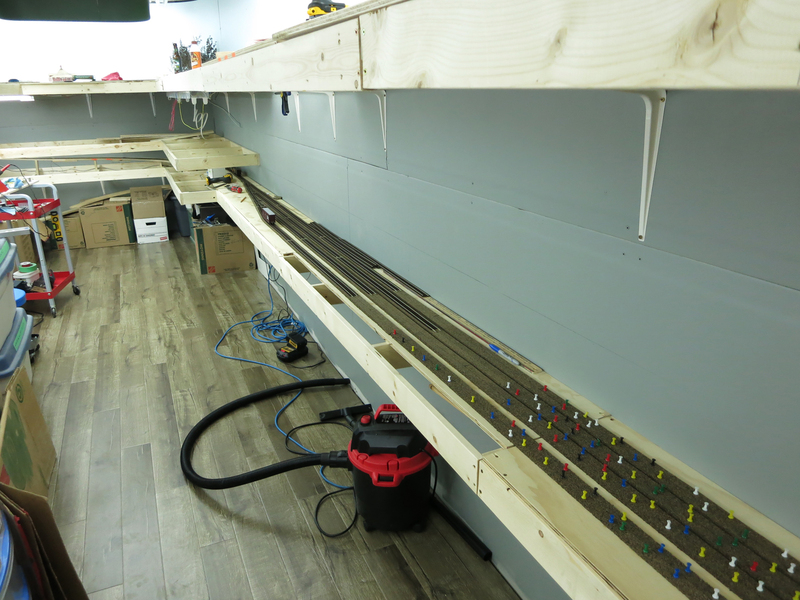 This section of benchwork is the hidden staging yard that will represent Fort St John (located north of Chetwynd on the prototype). In the back you can see the start of the lower level bench work for the Dawson Creek Sub. 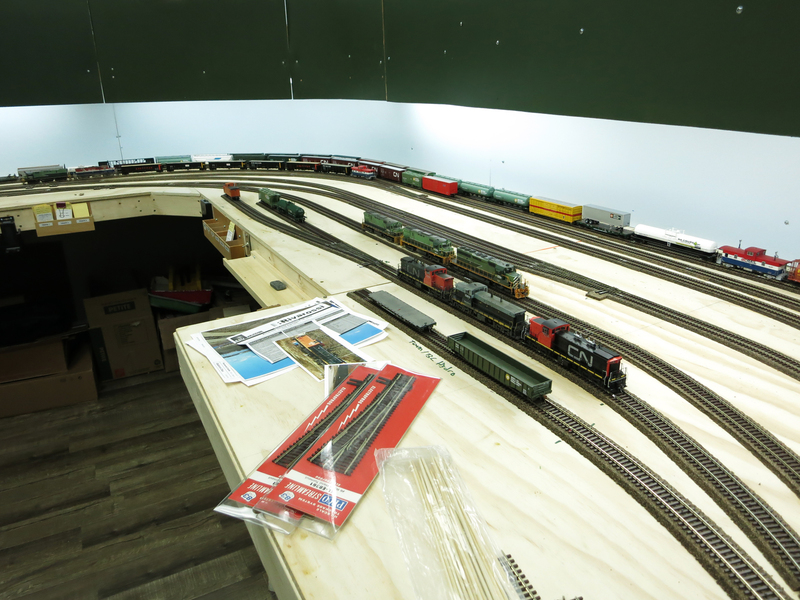 The staging yard will consist of 3 tracks, the largest sized to hold 15 cars including a van and 3 units. The operational plan calls for a freight to leave staging, lift cars at Chetwynd and continue on to Prince George. 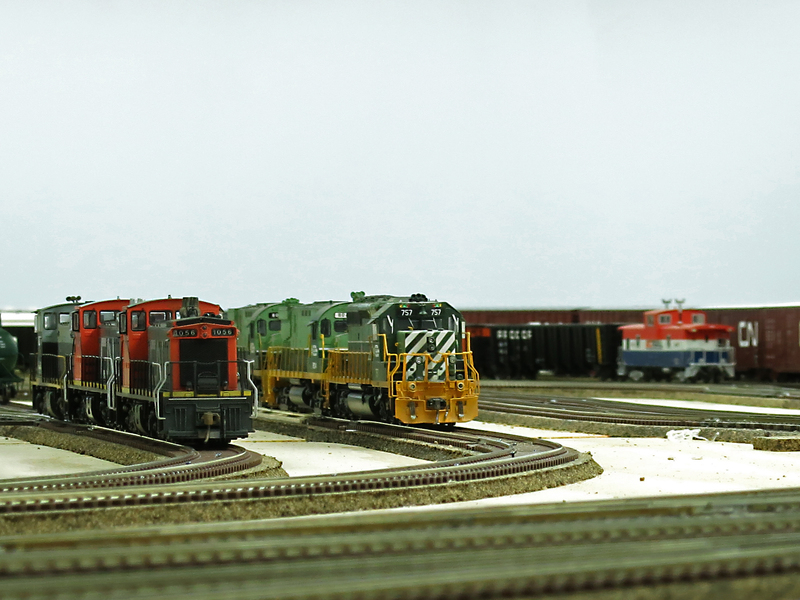 The grade out of the staging is steep, so I hope a test run shortly will allow a train to actually leave this yard! 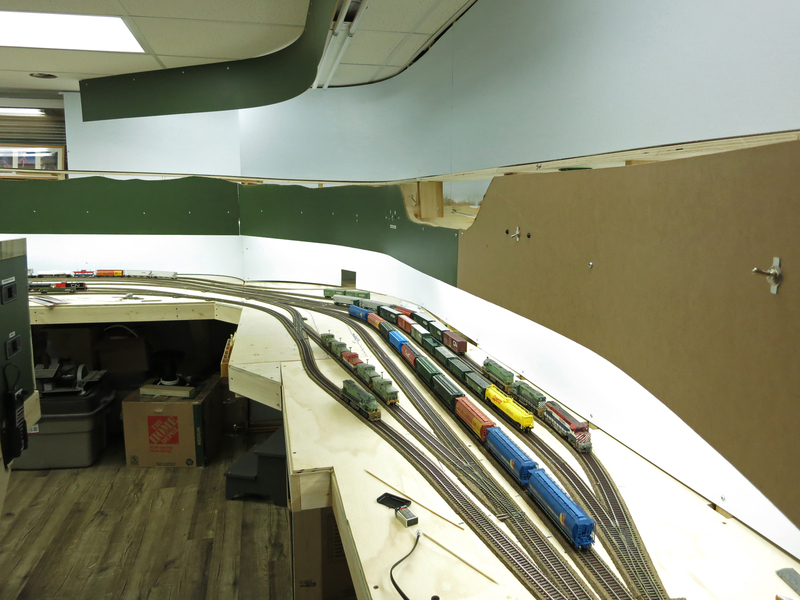 Once I have all the track in and wired up, I’ll build the lower level bench work above this section. Chetwynd looks like an interesting yard. Nice progress going on here. Hi Trevor, everything looks great! Is there an email address I can contact you with?